Beginning January 16, 2016, Microsoft will no longer support versions of Internet Explorer released prior to Internet Explorer 10 on desktop/laptop systems running Windows 7 and above. To maintain the security of the Baylor network and ensure the best experience using web-based systems, please use only Internet Explorer 10 or 11. If you are currently running an earlier version of Internet Explorer, please visit the Baylor ITS website (baylor.edu/its) and enter "Software Directory" in the search box. Locate "Internet Explorer" in the directory, click the link and select the appropriate download link. Once you arrive at the Microsoft website, follow the instructions to install an updated version of Internet Explorer. Internet Explorer 10 or 11 are the current versions of the Microsoft browsing application supported at Baylor University. With the release of Windows 10 in July, which is not yet supported by Baylor ITS, Microsoft did away with the name "Internet Explorer" and introduced Microsoft Edge. Along with a change in name, Microsoft changed the way their browsers will be released and supported in the future. New browser versions will now be released with updated versions of the Windows operating system. As older versions of the Windows operating system fall out of support, old browser versions will also no longer receive updates in functionality and security patches. 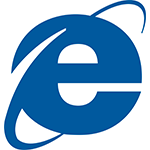 If you need assistance upgrading Internet Explorer, please contact the HELP desk at (254) 710-4357 (HELP). Final Exams are ending, graduation is coming and the Christmas/New Year holidays are nearly here! As you know, it is now easier than ever to stay connected to Baylor resources while you are away from the office and the classroom. However, there are precautions you should take with your technology before leaving campus for an extended time, especially a period when few people will be around campus. Baylor ITS has prepared a website featuring recommended actions to take before you leave to celebrate the holidays with friends and family. Visit the ITS website (baylor.edu/its) and click the “Leaving Campus” link under the “Services” menu for helpful tips for your computer, voicemail and email. Follow @bearaware on Twitter and "like" BearAware on Facebook to keep up with the latest news and information about IT security. Follow @BaylorITS_Alert on Twitter for notifications of network outages and other Baylor-related IT emergencies. If you need IT assistance, contact the HELP desk at (254) 710-4357 (HELP).